Want to invite your customers to review your products? You can set up Trustpilot's manual invitations to do just that. 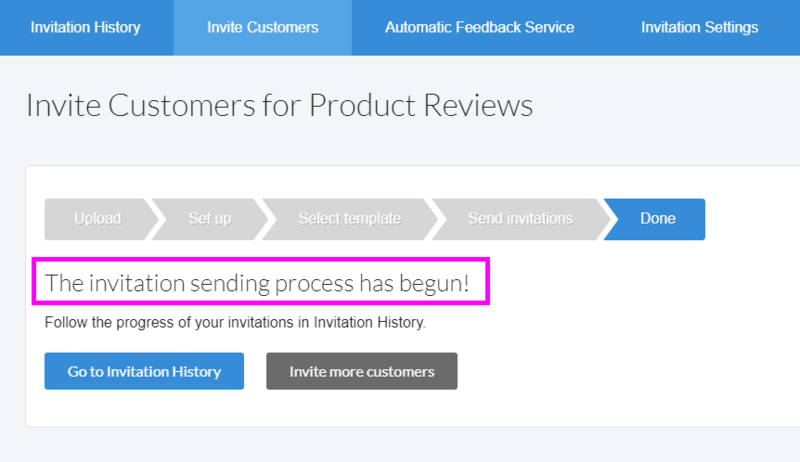 We also have other invitation methods for requesting product reviews, and you can even ask your customers to leave you service and product reviews in the same email or in separate emails. Go to Trustpilot Business > Get reviews > Invite Customers and select Get product reviews manually. Now click on Select file and upload your CSV file with relevant customer and product data. If you weren't able to organize your CSV file in the specified order, there’s a quick fix. Add a column header to tell our system what data you’ve placed in what column. You’ll need to write these exact header names in English: customer email, customer name, reference number, SKU, product name, product URL, image URL. You can ask your customers to review multiple products with one email. All Trustpilot needs is your customer's email address and reference number. Then our system can ask them to review multiple SKUs in one and the same email. Once a CSV file is selected, the content is analyzed. If you receive a message in a green box, all lines in the file are correctly formatted. If you receive a message in a yellow or red box , some or all of the lines in the file are incorrectly formatted. You can download a file containing the invalid lines and information explaining the error(s). Click Continue. The system checks for any invalid characters that would render the line invalid. 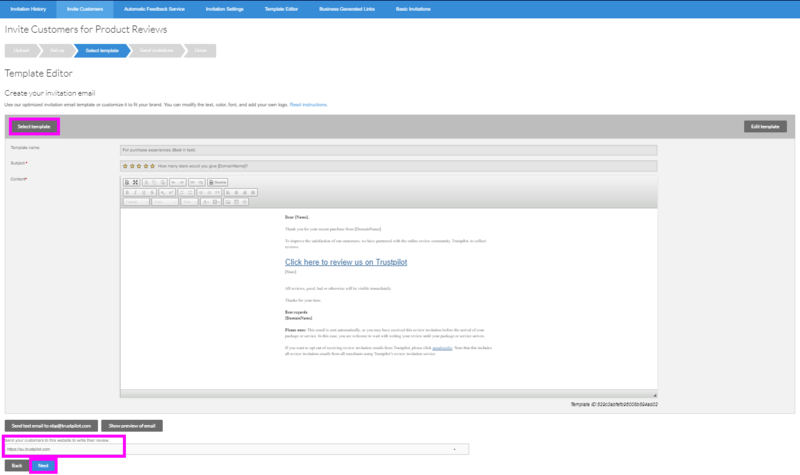 Set up your sender information and click Continue. Configure your landing page and customize your template and click Next. You will see a summary of the invites you are about to send out. Click Send invitations if the information is correct. A pop-up window will show while the data is being transferred to our server. After we have received the data, you'll see this confirmation screen. And that's it! You're all set for inviting your customers to review your products.